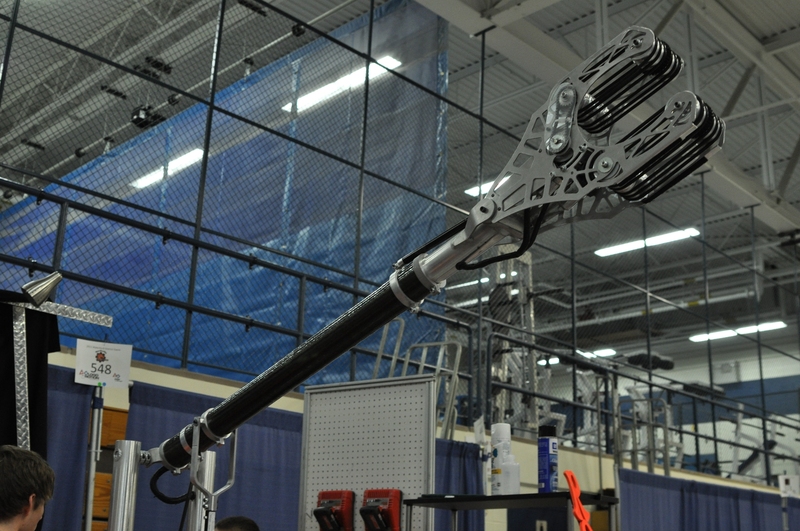 This is a picture of our claw along with the carbon fiber arm member. ^They almost pulled down the rack too?! I didn’t hear about 548 getting caught on the rack, but I wasn’t always watching. 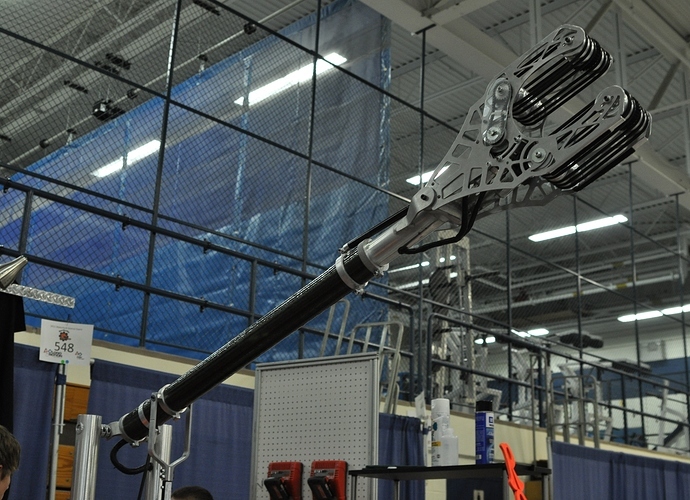 that was one cool arm, i was very impressed about how simple it was but how well it performed. good job guys keep it up! Are you guys using black polycord? That is on sweet looking claw! Close. They’re actually O-rings so we don’t have to worry about joining them. The centermost groove has roughtop tread rivited in to aid tube ingestion.